Milky Way Logistics Ltd, an independent freight forwarder, based in the City of London, provides professional bespoke freight solution in the UK. Wither the cargo is from London to Germany, Spain, Portugal, Latvia, Russia, India, Africa, America, Australia or elsewhere in the World, no matter where is originated or where it is destined to, our experts could help you find a solution to transport it. At Milky Way Logistics, there are a range of freight services for all types of cargo, from very small parcels to very large and oversized shipments. There are numerous routes covered by air freight, sea freight and road haulage. Variety of goods from personal effects, art works, household items, machineries, commercial goods, industrial goods, consumer items and almost any product that could be traded and or imported/ exported, could also be shipped as cargo from London to Germany or any other worldwide destination. For most of the Europe destinations including cargo from London to Germany, we offer bespoke road haulage freight services which is ranging from small vans to curtain siders to large trucks of a few tones. This is service is inexpensive, trackable and reliable. 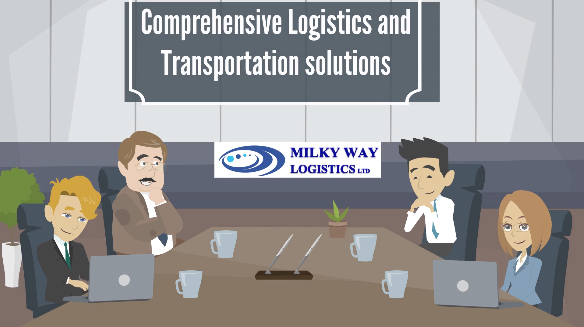 Milky Way Logistics Ltd, offers different modes of transport for different situations and always works out the best solution for your supply chain requirements. Based on the characteristics and nature of the freight, the logistics solutions are designed and engineered to meet all the aspects of the supply chain requirements in order to promise the finest solution and most appropriate result. For Germany being in the proximity of London, there is the opportunity to provide quality services over land and cross the North Sea and English Channel. For any cargo from London to Germany and elsewhere in Europe and Worldwide, all aspects of the freight from the pick-up point through to custom formalities, securities, terminal handling, documentation and shipping are always worked at its best value and quality. For further information about our services on freight and cargo solutions from London to Germany, please contact us at enquiries@mwll.co.uk.